Cults3D.com - 3D Printer models for Art, Gadgets, Architecture, etc. EBI - European Bioinformatics Institute (EMBL-EBI). TurboSquid - Professional 3D models. US Army - Combined Arms Research digital lib. 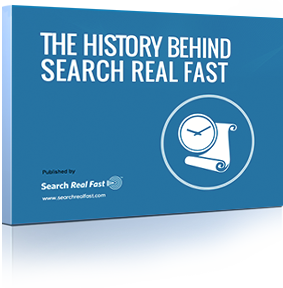 Patents Real Fast LLC (PRF) — now doing business as Search Real Fast — was launched in the fall of 2011 after the research team developed unique patent search technology to help inventors and patent practitioners. The research effort was initiated by Pete Fenner, President of Lightbus Technologies and Fenner Investments Limited. The research project was directed by Dr. Margaret Dunham, Professor of Computer Science at Southern Methodist University (SMU) and delivered by SMU graduate student, Badhrinath Sampathkumar. Mr. Fenner has a lengthy background with both patents and the technology search process. He understands how time-consuming and cumbersome the search process can be and considered for some time how to dramatically speed up this process. The research effort led to the launch of this new search enterprise. Now we have expanded Search Real Fast to build custom search queries to numerous technology databases found on the World Wide Web and changed our web domain name to searchrealfast.com.